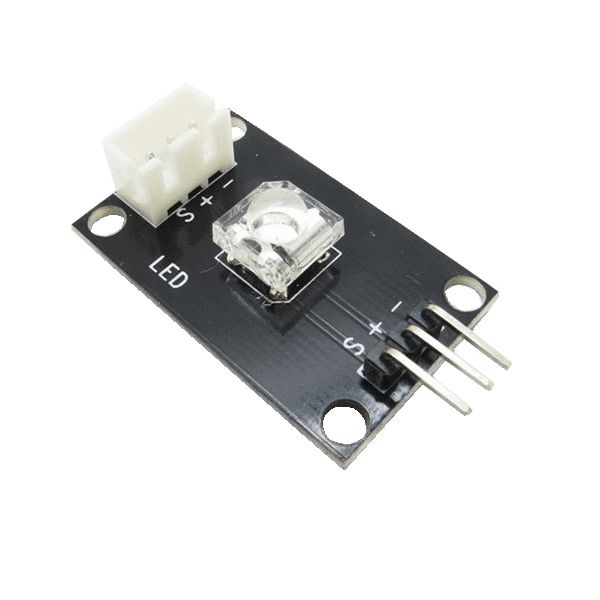 The Light Emitting Diode (LED) Module is a simple but convenient general purpose LED module. Connect the (+) and (-) to a 5V power supply and the digital input (S) pin to a digital output from your robot's controller. Set the (S) pin to high to turn on the LED and low to turn it off.